BlackBerry European Managing Director Stephen Bates said that there will be no entry-level BlackBerry 10 model coming from Waterloo this year. Bates said the company brought out higher end devices like the BlackBerry Z10 and the upcoming BlackBerry Q10 to show the world what the new BlackBerry is about. At the same time, Bates said that the company had strong sales on BlackBerry 7 devices in the U.K. during the holiday season, and BlackBerry does not plan on giving up on BB7 for the time being. In other words, BlackBerry is telling you that if you want an entry-level 'Berry, go buy a BlackBerry Curve. BlackBerry UK and Ireland MD Rob Orr says that in the new BlackBerry portfolio, the BB7 devices are the workhorses for financial institutions and the government. Those have been the buyers of the previous-generation BlackBerry models. 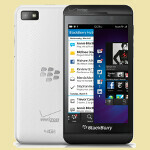 Orr said it is important to show that the company is not giving up on models like the BlackBerry Curve. The biggest test of the new BlackBerry 10 will come next month when the all-touch BlackBerry Z10 is launched in the United States. hmmm and where are blackberry 7's selling well at? Alot of government and companies are moving to other phones. My work is giving us a choice between the gs3 gnote 2 and the iphone 5. They used to big BIG on blackberry but after the 9800 said forget that and started to let us android and IOS. maybe they need to put a new entry on bb-dictionary. bb7 selling well means : only in canada, indonesia, india, and... thats it. LOL. big LOL AGREE!!!! user in Indonesia, Canda, India were too stupid. they still think BB7 is great, and RIM want to milking to this situation. on another news.... google this.... android beat BB IN INDONESIA since January 2012... (SINCE LAST YEAR) and samsung beat BB IN INDONESIA since July 2012 (6 MONTH). So, don't say that BB is number one in Indonesia. Indonesia already moving to android. I'm not a BB fan but I just think that BB7 or any BB does very well for the Enterprise market. Many of these companies joining in on the move to Android or Apple may be just looking for ways so they can have more fun OUTSIDE OFF DUTY or during those breaks (including self-declared extra overbreaking) and down times..
Why Android and iphone BRING MORE productivity compared to BB? 1st.... If your company have aps for consumer, your company will be DETACHED from their customer if they use BB. Using BB for company while having aps for android/iOS is like using 2 different language in 1 company. * Reason: when your customer say the app need blabla, your company won't really know the reason because all their employee doesn't use it. * Reason2: If all in the company using BB, then they wouldn't know the REAL TREND in SOCIETY, that's apple and android. How can your company survive if it's acting like an elite? 2nd. BB7 is outdated. It's a 2003 phone. It can't be categorize into smartphone anymore. With this outdated device, you can't have a smart idea. For example, this could happened * "I have an idea, blablabla..." it turn out your competitor already doing it in Android/apple, and your company didn't know it because using the outdated BB7. 3rd. Why should you / your company fight for BB? If BB fail, it will drag down your company. Are you willing to sacrifice for BB? you do know that BlackBerry isnt just for work right?! a lot of people still buy it especially teens and young proffesional! and also BB's key market are in asia, europe and africa so thats why BB7 will still be alive! but its sad that they wont bring a BB10 in low end market though! they should really bring it to that market since they promise that they will ring 6 bb10 device this year and for all market (so its low end, mid and high end) im so ok with 3.5 iphone but its really kinda small now, so i wish at least a 3.7 bb10 will be coming for low end! i dont really understand why companies need to ditch their company phones (let say BlackBerrys since it is really made for business) it will just cost more if they change, lets say that the company has 1000 employees, they will give a new phone to their employees a thousand note2/iphone5 too, right? so it will cost a fortune! what if they could just give those money as a bonus? that would make sense! i mean you dont really need new phone ever year! Must be living in the past. Many governments and businesses are switching to the iPhone. I'm not sure where this guy is getting his info from. LOL. you live in your own little iphone world..... They are also switching to other phones. Now, now... Where's that BB10 upgrade to the Playbook!!!! lol!! playbook is a great tablet while your nexuses are just the real toys! The is BS news. I cannot wait until they go bankrupt and close for business!